Have questions about Paid Vacation, Sick Leave, Voting Leave or Workplace Sexual Harassment? Interested in enhancing your interview skills? 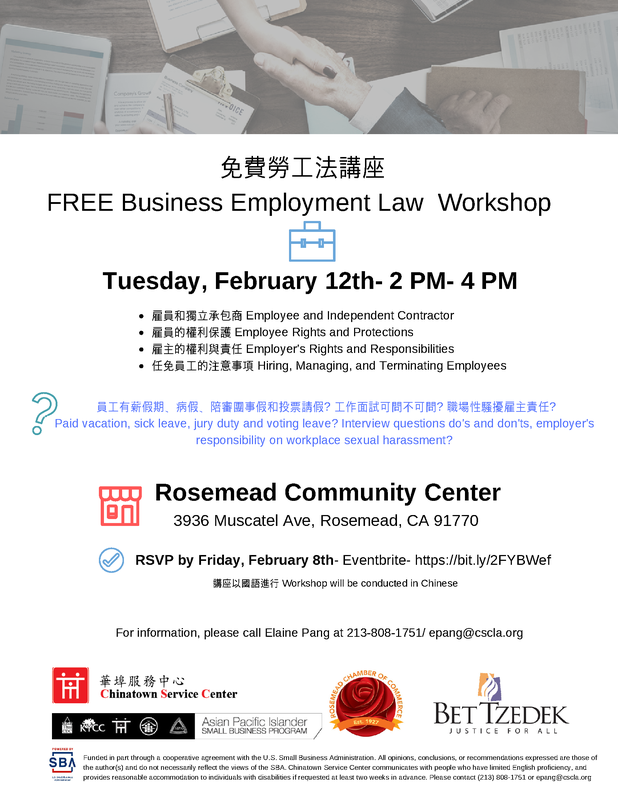 This workshop will cover topics such as Employee Rights and Protections, Employer’s Rights and Responsibilities, Hiring, Managing and more. The workshop will be conducted in Chinese. RSVP by Friday, February 8 via Eventbrite at https://bit.ly/2FYBWef. For information, please call Elaine Pang at (213) 808-1751 / epang@cscla.org .